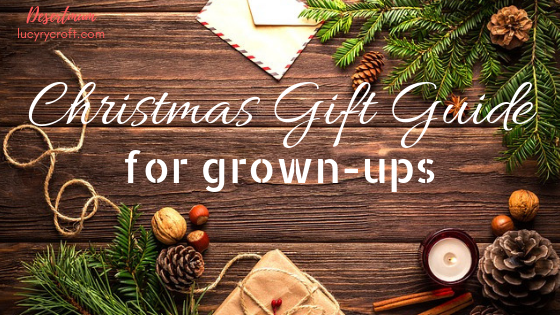 Christmas Gift Guide for Grown-Ups! Does anyone else struggle with Christmas shopping? In addition, when I’m buying a gift for an adult, the mind wanders into “But they can just afford to buy what they want!” territory, with an uneasy suspicion that if they wanted what I’m getting them, they’d have already bought it. One solution is to look for new or unusual gifts, items the recipient won’t have come across, but, on receiving, will wonder what they did without. It’s not entirely foolproof, of course, but it’s a start. Another solution to throw into the mix is to find something which will enrich the recipient’s life well into the new year. In other words: to think about their future – not their past. Maybe this will give you some ideas for the special people in your life, or maybe you’ll want to pop them on your own Santa list. However you use these suggestions, I hope they take some of the stress out of your Christmas shopping this year! 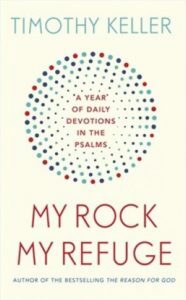 This is a fabulous, life-enriching, challenging but easy-to-digest devotional which takes the reader through the Psalms in a year. The short, dated entries even contain the Bible text, so you don’t have to go hunting. What better way to enrich someone’s life in 2019 than with the Psalms and excellent commentary? Buy here. Although I’m in a good pattern of reading these days, until a couple of years ago I really struggled to find any time to sit down with a good book. Honestly, when people bought me books it felt like a noose around my neck: just one more thing to strangle me. However, if someone had bought me a book PLUS promised an afternoon’s babysitting – now THAT would have been an excellent present! Is there an exhausted parent on your list who could be blessed in this way? 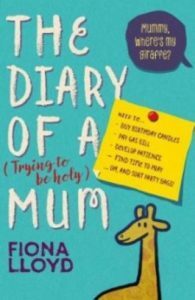 An absolute must-read for any Christian mum – and it’s even on offer at Eden right now for £3.99! It’s a light, humorous read, with real warmth and subtle challenge. If you want to give a book to someone who doesn’t have a lot of time to read, this is it. Read my review here and buy it on offer here. We were given one of these last year and it was one of my favourite gifts! First, it means you’re forced to have a night away from the kids (even better if you can offer an evening’s babysitting with it!) – and, second, you get to try a restaurant you might not have been to before. If you know a hard-working person who needs to make some time for themselves and a partner or friend, this is a wonderful gift! Do you know someone wanting to pursue Jesus but held back by feelings of unworthiness? 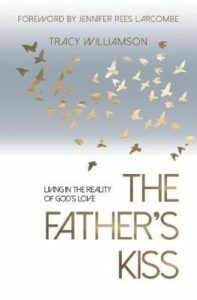 Tracy communicates so well about the Father’s love and affection for each one of us, stemming from her own personal story of rejection and abuse. This book challenged me hugely, and would be a wonderful gift for someone looking to move forward in faith and confidence in 2019. Read my review here and buy it here. 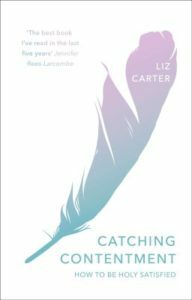 Recently out, so your recipient may not yet have come across it (win), Catching Contentment is a timely message for Western Christians who so often seek contentment in their finances, career success, relationships or material things. But it’s wrapped up in such a warm, engaging style, that it doesn’t feel heavy or off-putting, simply like a kind friend is leading you by the hand and taking you on a journey. Read my review here, interview with the author here, and buy it here. Again, for adults who don’t want any more ‘things’ in their home, some money towards a relaxing treat is a very good option. For a parent of littlies, it’s an even better treat because it’s a piece of rare child-free time. At this point, you may be wondering whether I even like my kids at all, as my favourite things don’t seem to involve them. But when you’re spending every day sorting out toys and drinks and snacks and plasters and paint-on-the-walls, then a few hours away is a HUGE treat, and leaves you much more refreshed to parent your kids! There – see what I did? OK, I’ll admit I haven’t read this one. 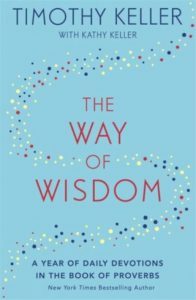 But I’ve recently bought it, on the recommendations of others, and it’s sitting by my bed, ready and waiting to be worked through in 2019 when I’ve finished The Way of Wisdom (see below). 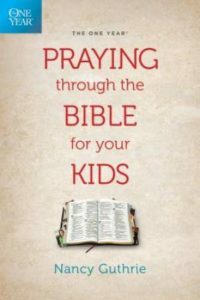 What better gift to bless not only a Christian parent, but their whole family too! Buy it here. If you have a partner, a lovely gift is to compile twelve different, fun ideas for dates which you’re planning for next year. The Internet will give you plenty of ideas for activities (both in and out, so you don’t always need a babysitter), and lots of fun ways to arrange them too, from sealed envelopes, to lolly sticks in a jar. Giving the gift of time and fun and new experiences is surely a good investment for next year! We like to give handmade gifts to teachers and churchwardens and a few family friends, and this was a favourite when we tried it for the first time last year. It tastes amazing – not quite like traditional fudge, if you’re being picky, but no one has ever complained about anything with such a high sugar and fat ratio, and in fact we’ve always received very positive feedback from those we’ve given it to. AND, of course, it takes just minutes to put together – which is perfect if you’re busy! My friend Kate gave me the recipe, and has allowed me to share it here. Simply put 500g chocolate (ideally half plain/milk chocolate, and half flavoured chocolate – anything works – orange, mint, Toblerone…be creative! ), 1tsp vanilla essence, 1 tbsp unsalted butter, and 1 x 395g tin of condensed milk in your slow cooker on low. Stir every 10-15 minutes and, depending on your slow cooker, it will be ready in an hour or two. (It’s ready when it’s all melted and combined – don’t wait until it starts to singe round the edges like I did the first time!) Pour into a lined baking tin, refrigerate, then cut into squares when set. You can use the cheapest supermarket chocolate and it will still taste amazing! Look out for a review and giveaway next week. 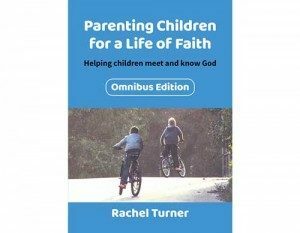 This handbook on raising kids who are God-connected has been around for a few years, but October 2018 saw the publication of this new omnibus edition, which combines three previously-published books (Parenting Children for a life of Faith, Purpose and Confidence, respectively). I’m reading it at the moment and thoroughly enjoying it (watch out for next week’s review!). It’s the kind of book you can dip into OR read straight through, and it will be practical and helpful either way. Rachel has really got me thinking about the kind of faith culture we promote with our kids. Am I really allowing them to have their own relationship with Jesus? Perfect for Christian parents, to grow their family discipleship in 2019. Buy it here. Clichéed maybe, but a chutney always goes down well in a Christmas hamper or gift bag, and doesn’t take long to make. There are recipes all over the Internet, but I recommend the BBC Good Food website for foolproof, work-first-time ideas. You’ll spend a lot of time chopping fruit and veg, and will need several clean jars to hand, but one large pot of delicious, hot, bubbling stuff left for a few hours will result in several presents, done and dusted. Better still, you can make ahead as it keeps for several months – in fact, some chutneys don’t even want eating until they’re been left for 3 months. I’m pretty behind this year, as I usually make something in October, but I’m confident there’ll be a chance before Christmas, because this gift literally takes half an hour of actual prep time. This beautiful art book contains stunning pictures from the Chaiya Art Awards, and is a great choice for art-lovers and people who don’t like to read. The written sections are short, but easily missable if you just prefer to look at the art. It’s a gorgeous coffee-table style book, and only came out this Autumn, so chances are your recipient won’t have come across it. 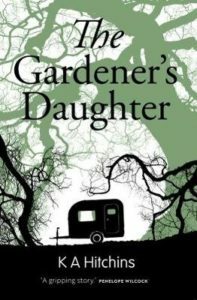 Read my review here, an interview with author Ann Clifford here, and buy the book here. Just so you know that I do like my kids, another great gift for a family is to help them fund a day out. Is it just me, or are days out getting really expensive these days? We have a large family, so I guess that doesn’t help, and our youngest boys are getting to the age where they no longer get in free to everything, but one day out can easily set us back £100 or more. So we totally love being given money or vouchers towards days out. It’s a great way to give a gift that blesses the year ahead and, like the ‘dates’ idea above, it forces a family to get out and spend time together too! If your recipient enjoys a good thriller, with something to make them think, then K.A. Hitchins is just the author. I really enjoyed this book when I read it earlier in the summer, and Hitchins has produced a couple more too. 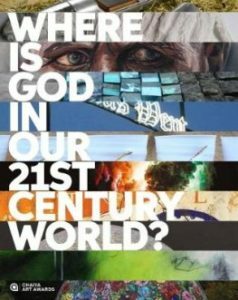 They contain Christian analogy, but the stories themselves are not about religion so make perfect gifts for those of all faiths and none. Read my review here and buy the book here. This is a great gift for anyone who likes getting out and about. And the great thing is, there are options for single people, couples and families. We gave this to a friend and colleague last year, so that he could enjoy getting around some different places, and we also spent some money we were given as a family on membership, which has been great for free days out this year. Of course there are lots of other alternatives, like Historic Houses, RSPB, or English Heritage – or, if the recipient lives near a particular attraction and is likely to visit a lot, why not consider their annual membership package? Pretty much every place seems to offer one these days! I couldn’t let a Christmas gift blog post slip away without a little plug for this book, could I?! 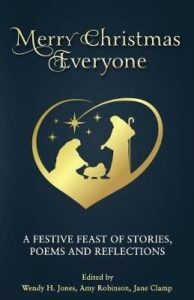 Eighty contributors, myself included, have written Christmas-themed stories, reflections, poems and sketches to make up this beautifully festive anthology, which is sure to be used year after year. Given its Christmassy theme, it would probably make a better Advent present, for someone you’re going to give to before the Big Day – perhaps a Christian teacher, your church leader or children’s worker. I still have a few copies available at the discounted price of £6.99, so contact me if you’re interested – otherwise you can grab your copy for £8.99 here. This sounds like an odd present, at best, and an insulting one, at worst – but if you know that your recipient is looking (or needing) to declutter in the coming months, perhaps for the arrival of a new baby, or as a prelude to downsizing their home, then I can’t recommend this course highly enough. It would probably be good to check first with them on this one, unless you’re absolutely sure they’re planning to declutter! Click here for my review (we’re currently about halfway through decluttering our home with this guide) and click here to buy. It’s not a cheap course (£59), so if you’re working to a smaller budget, why not buy the ebook instead? At £15, it’s a less expensive, but still very helpful, gift! A note about the affiliates used specifically in this post. I have used Wordery and Eden, two companies I rate highly. My preference for Christian books is to support Eden, but I also want to direct you towards the cheapest price, and Wordery usually undersells Eden. My compromise is to direct you to Eden unless the Wordery price is considerably (i.e. £2 or more) cheaper. Therefore you may not find my link the cheapest possible price, but if you can afford to support Eden, I would urge you to do so, as they’re a great Christian bookstore and worth keeping in business! If you want to search for the cheapest link yourself, then I totally understand that too! Pingback: Instant Apostle on Twitter: "'An absolute must-read for any Christian mum – it’s even on offer @edencouk right now for £3.99!' @DesertMumBlog #InAp https://t.co/4h0Z9muVuJ… https://t.co/VH844OY84Z"